An earlier post on Frank Price prompted a reminder from a reader about another Central High grad from the same era who made it big in the entertainment industry — Romain Johnston. Price and Johnston were friends at Central and active in the high school theater scene. A legend in the Variety Show or Musical genre, Johnston won three Emmys® and was nominated an additional ten times. 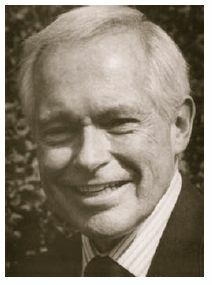 Johnston got his start in art direction with the television series Number Please (1961) and went on to win his Emmys for work on The Mac Davis Show (1974), The Sentry Collection Presents Ben Vereen: His Roots (1978) and Pryor’s Place (1984). In 1978, Johnston received three of the five Emmy nominations for Art Direction of a Variety or Musical Program. He has also worked on iconic series Barbara Mandrell and the Mandrell Sisters, The Flip Wilson Show and The Smothers Brothers Comedy Hour. I love this picture of my uncle. My mother was Elizabeth Johnston. I have a picture done by Romain Johnston 10 22 45 dated. And is quite good of a older man with a pipe in his mouth. I would post it but cant seem to. Ive made up the name, but dont understand bloging yet.i would like to find out more about the art. Would like to post the water color he did as a yong man, but i cant figure this phone thing out. Guess its not posible on this medium.